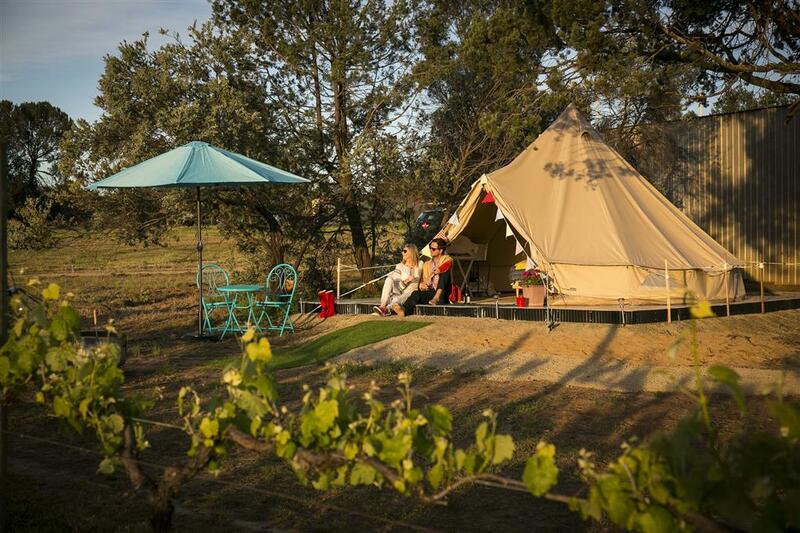 Welcome to Grapevine Glamping - a new dimension in vineyard accommodation for North East Victoria. 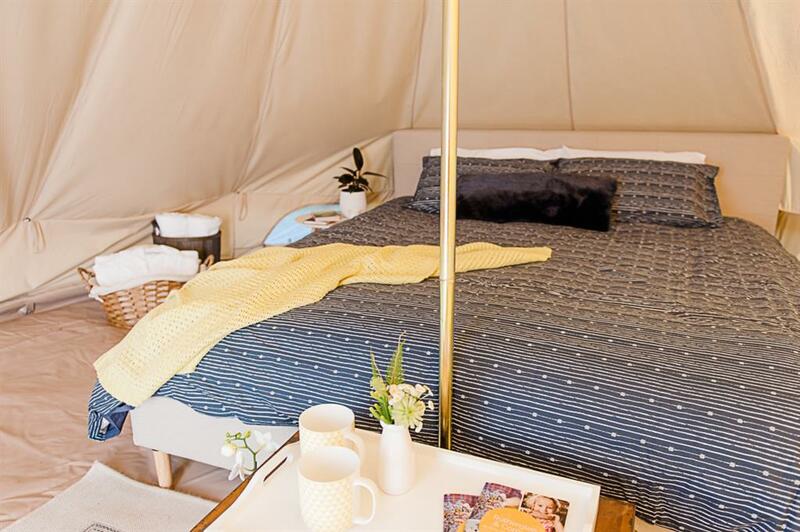 Picture yourself unwinding with glass of Cofield Wines Quartz Vein Shiraz while camping beside the vineyard where the grapes were grown. 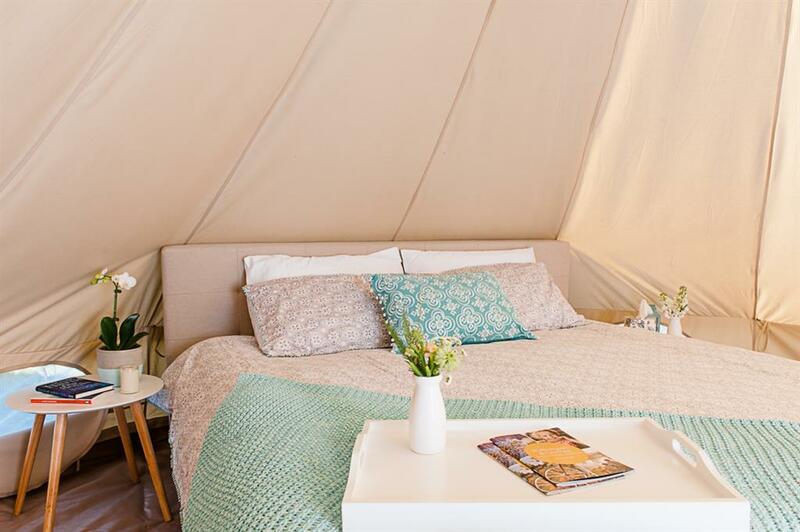 Grapevine Glamping allows you to do just that as you disconnect from it all in a picturesque rural setting. 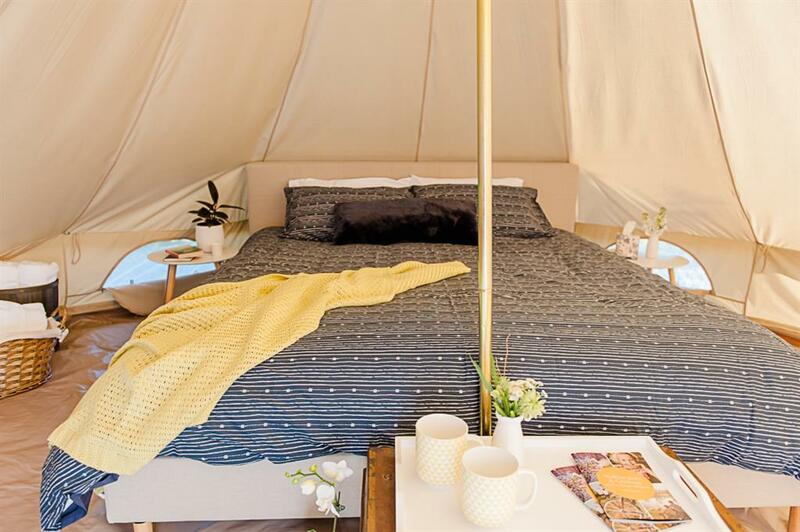 Our fully set up camp site allows you a unique opportunity to stay on a real working winery and vineyard while enjoying all the comforts of home. 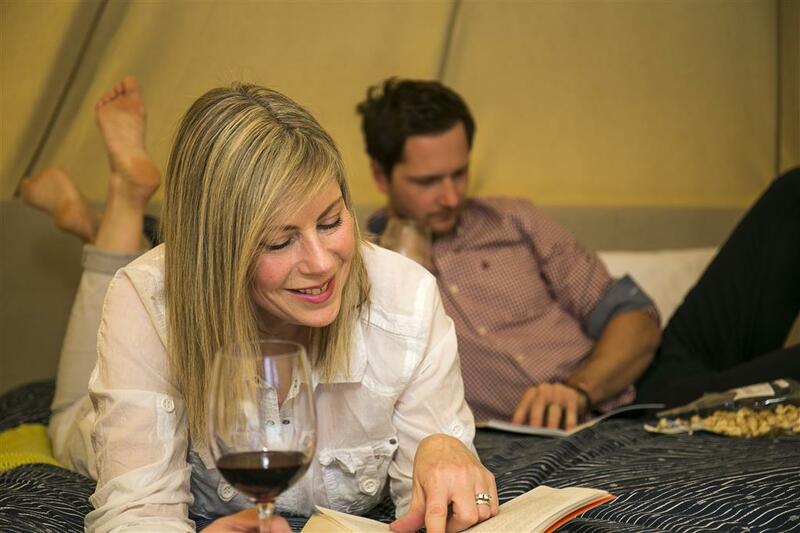 It's camping with no fuss, no set up, and everything at your fingertips. 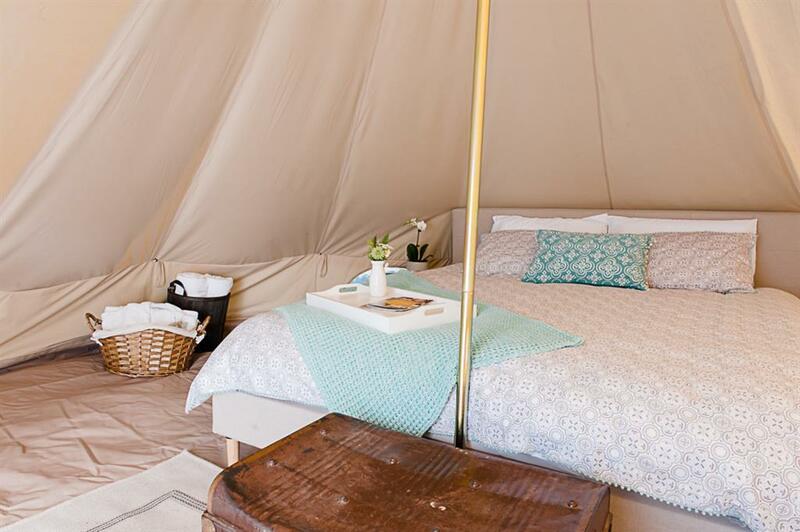 Located right here on site at Cofield Wines, together with the award winning The Pickled Sisters Cafe, this is the ultimate gourmet getaway. 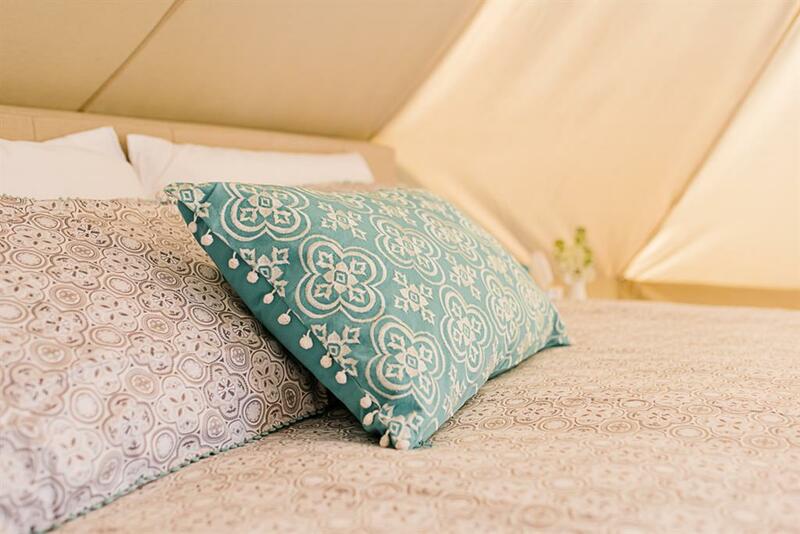 Your glamping experience includes: - King size bed with quality bedding in a 5 metre diameter canvas Bell Tent (complete with heating and cooling) - a bottle of Cofield wine on arrival - 'Cofield cash' redeemable at Cofield Cellar Door - Breakfast hamper delivered daily with a choice of continental or 'cook your own' breakfast, or enjoy breakfast at The Pickled Sisters Cafe. Each tent is fully equipped with all you will need for your stay including: - board games and magazines - fishing gear - local maps and guides - mini bar with a selection of Cofield wines, local beers and treats available to purchase (no BYO alcohol) On site facitilies include: - a fully equipped camp kitchen including BBQ, fridge, tea/coffee facilties - fire pit with marshmallows (not available on total fire ban days) - shared bathroom Dinner hampers and platters are available to order, and of course Cofield Wines Cellar Door and The Pickled Sisters Cafe are both right here on site for wine tastings and lunch.